I wouldn’t go quite that far. But it is a very interesting piece of work, and one which was not what I expected at all. Having heard the basic description, I was expecting something more akin to a race-based version of Deliverance: it’s isn’t, being considerably more subtle, and perhaps as a result, rather more disturbing. But I’m not sure “disturbing” is the word, either. 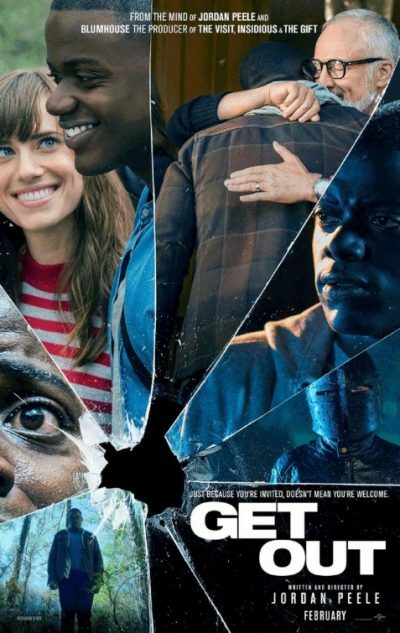 The most… let’s go with “uncomfortable” scene, is simply a conversation between David (Kaluuya) – a black man who is meeting the parents of his white girlfriend, Rose (Williams), for the first time – and the parents’ housekeeper, Georgina, who is also black. Filmed in extreme close-up on the faces of the two participants, it’s painfully apparent that something is terribly wrong, we just don’t know what yet. Similarly, when David’s friend, Rod (Howery – in what may be the most sympathetic portrayal ever of a TSA agent!) goes to the police with his suspicions about what’s going on, he’s mocked by them. But the cops in question are also black. And, while David is black, he’s not lazily played as such. People’s reactions to David define his race – for instance, it takes about ten seconds of conversation for a former golfer to bring up Tiger Woods – far more than his own actions. This may help explain why it crossed over beyond the typical “black movie” audience where, say, Tyler Perry operates. 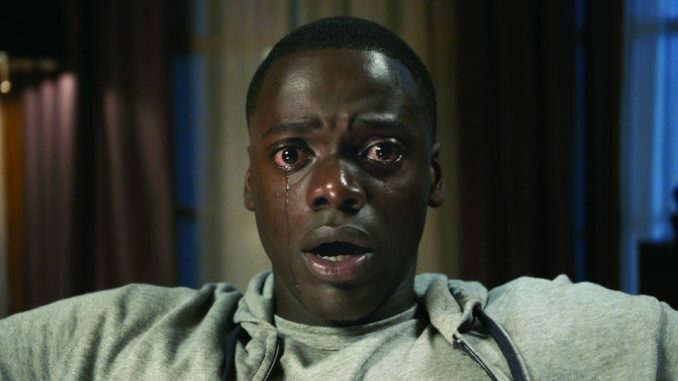 It’s understated enough in the messages, that Get Out can still work as a straight horror film, along the lines of The Stepford Wives or Invasion of the Bodysnatchers. It’s not perfect, by any means, not least in its eventual reveal of the threat, which comes straight out of bad fifties science-fiction. Peele also has trouble with the ending, and tried a few alternatives, apparently settling for the blandest of them. And in terms of reactions to it, the most befuddling is how this ended up getting a Golden Globe nomination for “Best Musical or Comedy”: the entire lack of comedy, save for Howery’s supporting role, is one of its strengths. Still, it certainly deserves a spot alongside other genre films which have successfully used the genre as a platform for pointed social commentary, from They Live to Dawn of the Dead.